Ray was born on February 12, 1948 in Queens, New York, USA. His parents were non-religious Jews fleeing Austria on the eve of war. Raymond’s father was a musician and composer, his mother was an artist, and Raymond loved science fiction since childhood. Mother’s uncle taught him the basics of computer science, and already at the age of 15 Kurzweil wrote his first program for the processing of statistical data. Later, before graduating from school, he created a program that analyzed and synchronized the work of classical composers. In 1965 Raymond was invited to CBS to participate in the TV program “I’ve Got A Secret,” where he performed a piano piece that was written with a computer. That same year, Raymond won the first prize at the “International Science Fair”, and, in addition, he was chosen the leader of the contest “Westinghouse Talent Search”. Considering this obvious victory, President Lyndon B. Johnson personally congratulated him, and the award ceremony was held at the White House, Washington. In 1970 Ray received a bachelor’s degree in computer science and literature at the Massachusetts Institute of Technology. In 1974 Kurzweil founded another own company, Kurzweil Computer Products, Inc., which created speech recognition systems, which proved to be indispensable for the blind and people with limited eyesight, which appeared to be in demand in various branches of production and management. Kurzweil married Sonya Fenster in 1975, they have two children. His wife holds a doctorate in psychology and works at Harvard Medical School. His son Ethan works as a venture investor. The products of this and other Kurzweil companies were very successful, and he earned a fortune on their sale. The inventor of the scanner is considered to be Raymond as well. In 1982 Kurzweil met Stevie Wonder, and then decided to create musical synthesizers that could transmit the sound of analog instruments. Then Kurzweil founded another company called “Kurzweil Music Systems”. In 1984 his company introduced Kurzweil K250 synthesizer. While testing it some eminent musicians were not able to distinguish the sound of Kurzweil K250 in piano mode from a real piano. In 1990 the company was sold to the South Korean producer of musical instruments Young Chang, which made Ray rich once again in an era when the problem of economy in production was becoming increasingly acute… Back in 1990 Kurzweil published his first book on futurology: “The Age Of Intelligent Machines”. In 1999 his next book was published: The Age of Spiritual Machines, in which Kurzweil proposed the law of accelerating returns, according to which certain evolutionary systems, including the development of technologies, develop exponentially. In 1999 Kurzweil was awarded the National Medal of Technology, and again the President of the USA was giving it to him, but already Bill Clinton. By the way, this award is the highest award in information sciences. In the 2001 essay “Law of accelerating returns”, he further developed this idea, suggesting that Moore’s Law can cover many other technologies, which, in his opinion, speaks in favor of Vinge’s technological singularity. According to Kurzweil, exponential thinking is not intuitive, because biologically our mind has evolved to make linear extrapolations. In 2005 Ray published the next book, “Singularity is Near”, which confirmed the theories proposed in his previous books. Also the documentary film Kurzweil “The Singularity is Near, A True Story about the Future”, dedicated to the inevitable technological singularity was released. 2006. Raymond Kurzweil at Stanford University. Kurzweil admits that he cared little about his health until he was 35 years old when he learned that he was suffering from a violation of glucose tolerance, an early form of type 2 diabetes. Then he met Terry Grossman, a doctor of medicine, along with whom they developed a regime that included hundreds of tablets, intravenous infusion, red wine and other methods whose purpose was to prolong life. Every day Kurzweil took 250 supplements, from eight to ten cups of alkaline mineral water, ten cups of green tea and a few glasses of red wine a week to reprogram his biochemistry. Later, he reduced the number of supplements down to 150. He wrote three books on nutrition and the healthy way of life: “The 10% Solution for a Healthy Life”, “Fantastic Voyage: Live Long Enough to Live Forever” and “Transcend: Nine steps to living well forever”, two of them – with his co-author Terry Grossman. “Transcend: Nine steps to living well forever” was released in 2009, immediately becoming a world bestseller. The public warmly accepted it, and world-famous publications such as Forbes, CNBC and others gave it the most positive reviews. Then the first report on the creation of the Singularity University appeared, which would be later headed by Kurzweil. NASA and Google are the co-founders of the university. The educational institution will train specialists to solve global problems that humanity already faces or may face. Kurzweil became a member of the Alcor Life Extension Foundation, specializing in cryonics, in case of his death, his body would be saved in hope of future breakthrough in medicine, allowing to restore and revitalize it. He also spoke in support of the SENS Research Foundation, the goal of which is to win over aging. The last book of Kurzweil “How to Create a Mind: The Secret of Human Thought Revealed” was published in November 2012. He describes the theory of the mind, based on the recognition of images. In his opinion, the neocortex consists of hierarchical systems of pattern recognition and copying this system can lead to an artificial superintelligence. Since December 2012 Kurzweil has been a technical director in the field of machine learning and natural language processing in Google. Raymond was sure that in 2010 special devices would project images directly into human eyes, creating a virtual reality effect (glasses with the 3D effect). Mobile phones built right into the clothes would send sound directly into the ear (Bluetooth). “Virtual assistants” would help people in many everyday chores. In particular, they would be able to make an instant translation of foreign speech. Small computers connected to the Internet would integrate more closely with everyday life. These forecasts have partially come true. According to Kurzweil, in 2014-2020 the power of a supercomputer will be equal to the power of the human brain. Computers as separate objects will cease to exist. They will take an unconventional form and will be built into clothing and everyday household items. Virtual reality will involve not only sight and hearing, but all senses. This, alas, has not happened yet, however, 2020 hasn’t come yet either, and in 5 years everything can happen. Kurzweil suggests that in the 2020s, nanomachines will be used for medical purposes, or, as we say now, nanorobots. In particular, these nanorobots can deliver food to human cells and remove their waste, replace all “unnecessary”, build new forms of living matter directly within a body, facilitating instant regeneration of affected areas. They will also make a detailed scan of the human brain, allowing you to understand the details of its functioning. By the end of the decade nanotechnology will be widely used in the industry, which will lead to a significant reduction in the cost of manufacturing of all products. By 2029, the computer will be able to pass the Turing Test, proving that it has a reason in the human understanding of the word. This will be achieved by computer simulation of the human brain. In the 2030s nanomachines will have to be inserted directly into the brain and perform arbitrary input and output of signals via brain cells. This will lead to a virtual reality of “full immersion”, which doesn’t require any additional equipment. In the 2040s the human body will be able to take any shape formed by a large number of nanorobots. Internal organs will be replaced by cybernetic devices of much better quality. Kurzweil predicts the onset of technological singularity in 2045. At this time, the whole Earth will begin to turn into one giant computer, and gradually this process can spread over the entire universe. The nature of the singularity is such that it is difficult to make more accurate forecast for the period after 2045. Well, Ray seems to push it on too much, because there are a number of quite obvious factors that do not contribute to progress the way he understands it. 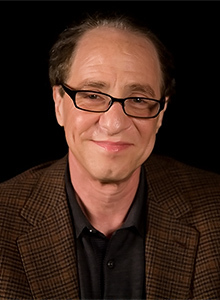 By the way, Ray Kurzweil now has a body much younger than his real biological age would imply him to have at 70. He described in his book the technology of preserving youth. However, his demands for himself are very, very high. It is known that the scientist keeps a watchful eye on his diet, paying special attention to the liquids that he drinks, thereby ensuring the health of his body: Ray’s choice is green tea and water with a basic pH balance, as well as nutritional supplements.